Pixel Dust Photo Art: Grab A Decorative Button For Your Sidebar! 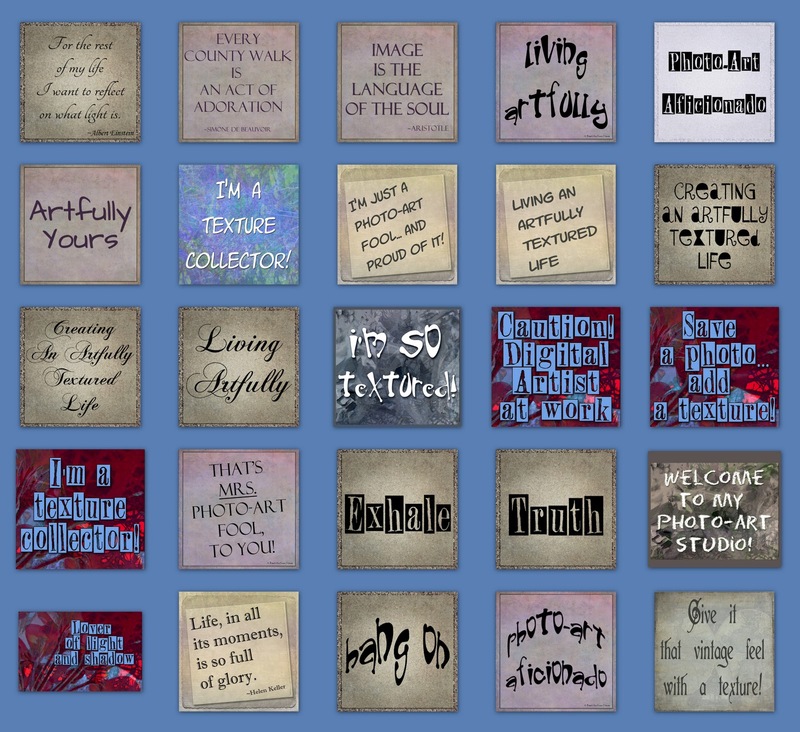 Here are some new blog buttons just for you. Buttons you can use to decorate the sidebar of your blog. 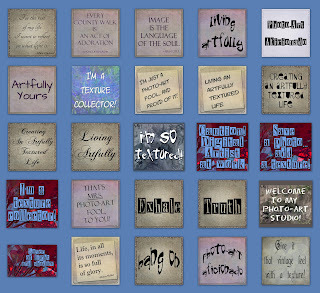 Most are related to textures and photo-art (what else?) and I hope you can find one that expresses something you would like to say on your blog. If so, click on Decorative Buttons (see tabs under my header) where you can find the buttons currently available, their code to copy/paste, and instructions on how to do so for those of you that are not sure. More buttons will make their debut soon. So take a look and let me know which button you like the most! Did I remember to say they are free? Enjoy! Bonnie, these are absolutely fantastic!! They are wonderful. Thank you, not sure which one to pick. Wonderful transformations! I especially like the one with the church!